In part one of this blog series, I introduced you to what a “Naughty But Nice” dog is and shared with you the first tip to training and living harmoniously with them! Now, the next tip - calmness! The way I see the perfect “dog’s life” is to be in a state of default calmness. When in doubt, we want them to choose calmness as you transition from place to place (whether that be in a trial environment, a trip to the park or journey to the vet). When we want motivation, high arousal and the peak learning and performance head space, we then trigger it! The key is that our dogs are not only calm but that, when in doubt and no direction/cues are given from us, they default to a calm emotional state and in turn choose behaviours associated with that calm state. I’m sure you can see that the boundary games we have discussed previously are key to this but equally we want calmness to be the default both in and out of the boundary. How do I get calmness? Well, I’m going to share with your my calmness protocol that has worked on severe behaviour cases (right from completely generalised anxiety to repetitive behaviours such as tail-chasing and fly catching) through to the sports dogs and owners that we coach. 1) Offer your dog a medium-value treat when they are settled and relaxed. If they get up from position after you have walked away, ignore them. If they have stayed settled and relaxed, then return and give them another one. Do not use a clicker or other excitable marker for this - we find that silence is most effective! Give the treat calmly and deliberately. Don’t be disheartened if your dog does get up or gets excited afterwards, the calm behaviour is what has been reinforced! In complex, especially distracting or dangerous environments, play this on lead in an easy location to start with and then increase the difficulty. 2) Ignore your dog (especially for attention-seeking behaviours), wait for him to settle and relax and call him over for attention. Do not do this too regularly or you risk the dog yoyo-ing between the floor and you! 3) Time the rewards (treat or attention) with external distractions. For example, a person walking past the house, a noise outside, a dog barking in the distance, someone cheering in the next agility ring, etc. This will reward your dog for remaining calm in the face of distraction and also change their emotional response from a negative one of anxiety or increasing arousal to a positive one of calmness (low arousal) with the external distractions. TOP TIP: Use a reward dispenser (a toy containing treats, e.g. a kong or dried hoof), especially in the face of distraction, as a long-lasting reinforcement! The chewing action will further promote calmness and relaxation. These are especially useful when your full attention can’t be on your dog and rewarding calmness. Suitable fillings might include meat or coconut oil! Focus, by definition, means to pay particular attention to something. This might not necessarily be the trainer - in fact we might not want it to always be the trainer. Take an agility course, for example, where we want forward focus. Focus in your dog training makes up the series of behaviours that you consider a “focused” dog would do. These might include, for example, offering eye contact to you the trainer or an agility obstacle. 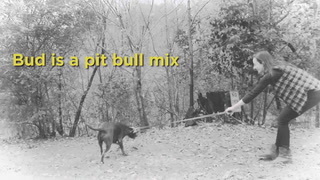 It’s a fluid concept in dog training that we can develop. Here are some of the things we think constitutes a focussed dog! SO - how can we develop focus in our every day lives? Well, we all know that dog training is 24/7! Dogs learn whether we are in a training session or not. So it’s really important to get the optimum focus framework to be training in a fluid and progressive way throughout each and every day. How would this look? Well let’s say you see your dog give you a glance when outside in the garden or on a walk you could mark that behaviour and then give an appropriate reinforcer. Equally you could do this for orientation towards you. 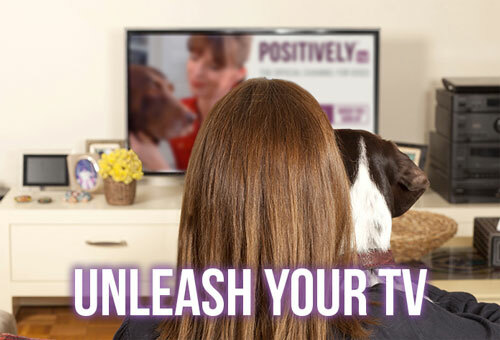 This is a really valuable opportunity because you can capture those moments when your dog shows intense focus on you. For example, dogs show increased interest in their owners after returning home from work or after being out the house. You can use this to your advantage by marking and rewarding behaviours that you deem to represent a focussed dog. Another reason why taking a fluid and progressive approach to training a focus framework is generalisation. 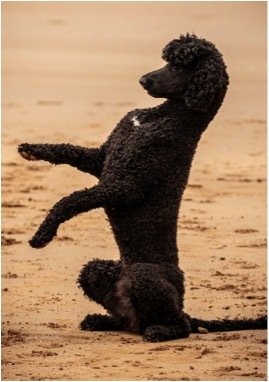 It aids generalisation of the framework to everywhere and anywhere because the variety of times of day, environments, and other components of your dog’s life in which you are building value into your focus associated behaviours helps them in learning that these behaviours are valuable and valid choices everywhere and anywhere. Further to this, adopting this 24/7 dog training point of view, you can better transition your dog from cued focus e.g. 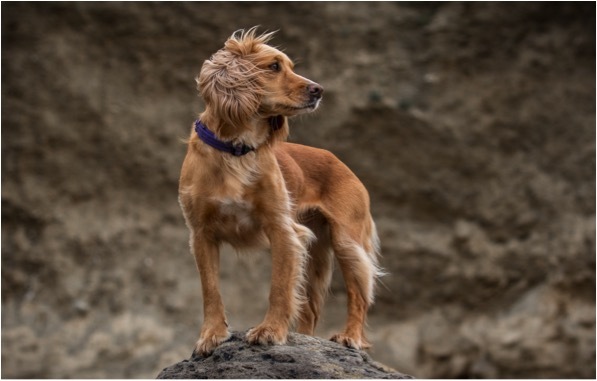 using their name or asking for specific behaviours, to default behaviours which are uncured, because you capture those moments when your dog offers them naturally. A Different Kind of "Boundary"